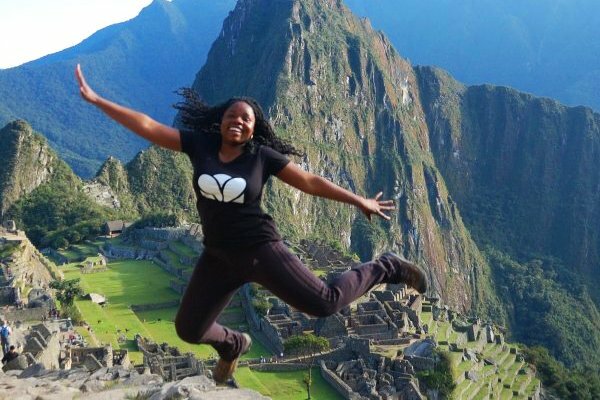 Follow these tips and you could be looking at a grand total of $80 for your Machu Picchu experience. 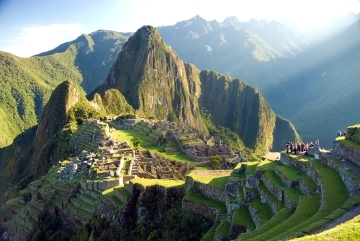 Let’s face it: Peru hasn’t done much to make Machu Picchu a budget travel destination. You’ll drop at least a few hundred on a trek along the Inca Trail. Longer routes can run up to four digits a person, if you book with an agency that actually pays their guides and porters well and cares something for the environment. Or you have the train. For a seat in the lowest class (Backpacker), British-owned PeruRail charges $50 for the three-hour one-way journey from Poroy (Cuzco). If this is sold out—as it often is in the high season—you’ll need to upgrade to Vistadome class for $70. And that’s just the transportation. Once you get to Aguas Calientes (Machu Picchu Town), you’ll be faced with inflated hostel rates and food prices. And finally, the unavoidable 124 soles (~$40) for entry to the site itself. All told, you’re looking at around $200/person as a minimum. Fortunately, within the last couple years a new option has popped up, one that hasn’t yet made it into most guidebooks: Machu Picchu by car. By avoiding the overpriced train, this route cuts transportation costs by two thirds. All-inclusive tours are actually a pretty good deal, while diehard budget travelers can go independently to save even more. This relatively new tour is offered by most agencies clustered around the Plaza de Armas and other tourist areas in Cuzco. Just look for the telltale sign: “Machu Picchu by car.” One online agent even seems to specialize in it. A good pricing rule to remember: the farther from the plaza you wander, the cheaper the prices you’ll find. I got mine from an agent on Cuesta San Blas (just below the boutique hotel Casa San Blas) for $115. Lunch on the last day isn’t provided. Neither are tickets for the shuttle bus from Aguas Calientes to the ruins ($7 one way; many people walk). Even better, for an additional $10 per person you can add an extra night to the tour. This is highly recommended. The standard 2-day/1-night schedule only allows you five hours at the ruins (6am–11am). Stay another night and you’ll get the entire day at the site. Not only does this give you the opportunity to spend more time climbing Wayna Picchu, visiting the Inca Bridge, and exploring other remote corners of the ruins, but it also enables you to outlast the thick fog that sometimes blows up in the morning. 2. You’re getting ripped off. Remember, it pays to haggle and shop around. One final note: as with most budget travel, you’re sacrificing comfort for cost. The bus ride takes 6 hours, the last 2–3 on dirt roads with some rough spots and a couple cliffside sections that’ll make you regret nabbing the window seat. If prone to motion sickness, pick up a few Gravol tablets at any pharmacy before heading out. Most agencies will happily book you the van ride only, for around 85 soles (~$30) round trip, leaving you to figure out the rest on your own. * Don’t take the $8 train from the hydroelectric station to Aguas Calientes. You can easily walk the tracks in an hour and a half (many people do this). * If possible, bring all your own food. There are no cheap “local haunts” in Aguas Calientes, and most restaurants will tack a “local tax” ranging anywhere from 10 to 20+ percent onto your bill. * Camp! Instead of blowing $20 or more on a forgettable hostel bed, pitch a tent ($5 per tent, per night) at the little riverside campground just south of the Puente Ruinas bridges. It’s a 15-minute walk from town, but there’s a little store with necessities on-site. Plus, you have a great view of Machu Picchu up the mountain (no one back in town does), and you’re in a better position to begin the hour-long climb up the Inca stairs in the early morning to snag a front spot in the entrance line. The polished Manuel Chávez Ballón Site Museum is also nearby (though unfortunately they’ve started charging admission; 21 soles/11 for students). Remember that you’ll need to buy your entrance ticket to Machu Picchu at the INC office in Aguas Calientes, as they’re not sold at the site itself.